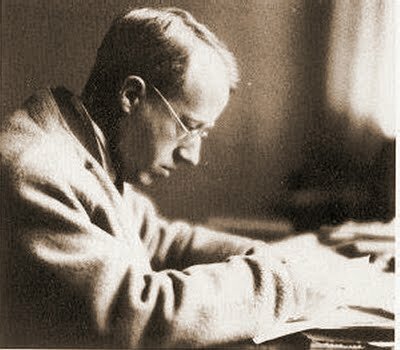 'There are two kinds of musical philistine: he who considers musical history to have begun at a definite date, and he who believes it to have ended at an equally definite date' - Gustav Holst. Orientalist, composer and savant Gustav Holst, subject of my header photo, threw down the challenge of musique sans frontières. American composer, teacher, author and blogger Kyle Gann, seen in the photo above, has taken up the challenge with aplomb in his chamber cycle The Planets. 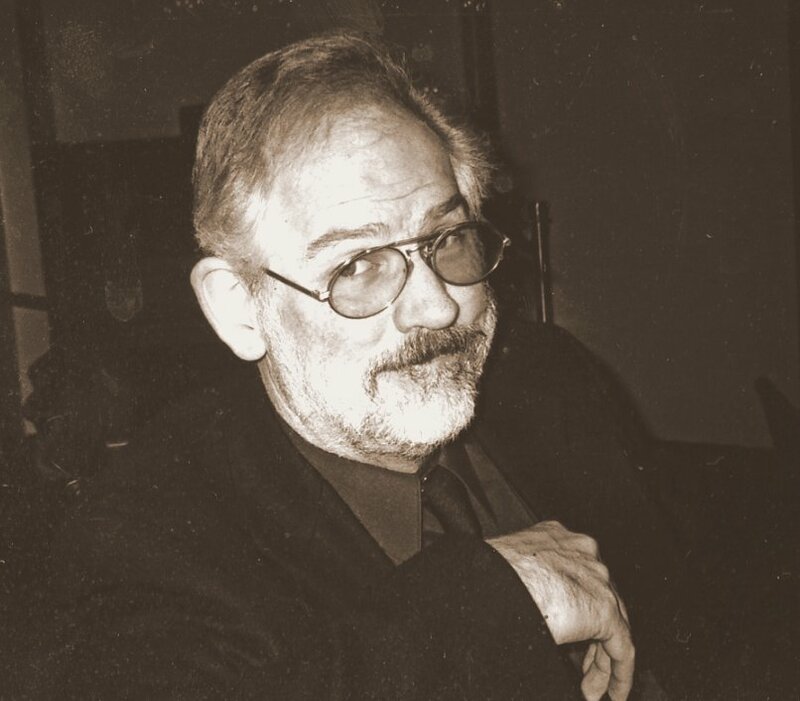 Scored for an octet of flute, oboe, alto sax, bassoon, percussion, synthesizer, viola and contrabass this 'free will' Planets was composed for Philadelphia based Relâche Ensemble between 1994 and 2008. In my Chance Music series on Future Radio this Sunday, July 4, I will be paying tribute to Gustav Holst's vision of musique sans frontières by pairing the first four of his Planets with Kyle Gann's takes on the same celestial bodies. Although the programme will end with Holst's Jupiter it will not be in the all too familiar orchestral version, or, heavens (in more ways than one) forbid, the gratuitous choral version. For the four Holst Planets I am using the little-known but immensely illuminating four-hand piano arrangement made by the composer and two lady teachers at St. Paul's Girls School in Hammersmith when he was on the staff there. So orchestral warhorse meets minimalism in a fascinating example of transformational process. * Chance Music featuring The Planets was broadcast and webcast at 3.00pm UK time on Sunday July 4 on Future Radio, with a repeat at 1.00 am in the morning of July 5 for transatlantic listeners. Follow this link for the podcast. * Gustav Holst's wise words are quoted from the recently published New Aldeburgh Anthology. Kyle Gann's commentary is quoted from the sleeve notes of the Meyer Media CD of his Planets. The recording of the four-hand arrangement of Holst's The Planets is the now deleted CD on the Black Box label by York 2 which was bought at retail: copies are still available and are well worth snapping up. Many thanks go to music therapist, blogger and reader Lyle Sanford for the path to Kyle Gann's Planets. A review copy of the New Aldeburgh Anthology was supplied at my request by the publisher, Boydell & Brewer. * Dane Rudhyar featured here in 2007 in Music and Mysticism. I first came across Kyle Gann some years ago through his excellent sleeve note fot Hat Hut's CD of Rudhyar's piano music. * Gustav Holst's daughter Imogen was a living example of musique sans frontières. In 1951 she spent two months studying the folk music of India and teaching at Rabindrath Tagore's Santiniketan University in West Bengal. She went on to play a major part both in the early music revival and the develoment of contemporary music in the 1950s through her work as an artistic director of the Aldeburgh Festival and elsewhere. More on Imogen Holst's remarkable contribution to music history here. Other Minds in San Francisco will be presenting a special concert of Dane Rudhyar's music in September. Rudhyar spend his last years in San Francisco. Just published is a wonderful book about Rudhyar: Dane Rudhyar - His Music, Thought and Life, by Deniz Ertan.